The New York Giants’ offensive line has looked much improved over the course of the offseason, especially the left side of the line consisting of Nate Solder and Will Hernandez. Center, Jon Halapio, has also looked stellar, allowing the Giants to trade away his best friend, Brett Jones. The right side presents the most caution on the line, as new signing Patrick Omameh has struggled and Ereck Flowers has been average at best. Omameh earned himself a contract of three years, $15 million for being a below average run blocker and average pass protector. He has the size and mentality to be a solid addition, but his technique seems to be his primary point of question. Should the Giants test their options at right guard? While the Giants aren’t neccesarily stacked on the offensive line, one option in specific offers the most value behind Omameh. Former guard John Greco could be the player to fill his shoes if he continue to struggle. Omameh finished the game with the worst rating by far, landing below average. He was toyed with throughout the first half and performances even worse than Flowers – that alone should be worrisome. In 2017, Greco earned a grade of 77.2, according to PFF. He’s average all around with the ability to perform at an even higher level. Currently, he’s considered the backup center behind Halapio, but I believe he should be given a chance to start at right guard. 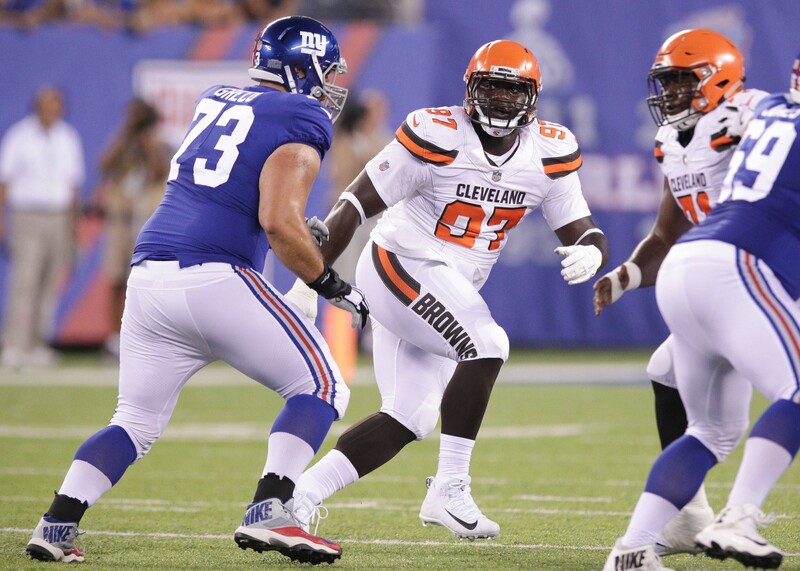 To be quite frank, it can’t be much worse on the right side of the line, so offering him a chance to prove his worth in the Giants’ final preseason game might be a good idea. Now, you can justify Omameh’s struggles with the lack of chemistry on the offensive line. While this is a reason for his lackluster performances, it doesn’t avoid the fact that the rest of the line has been decent at the very least. He’s been the single weak spot, so testing out alternatives is worth a shot.